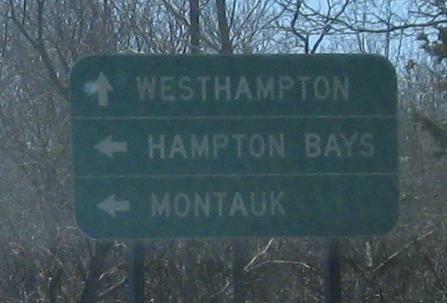 This road opened in 1975, so there are good chances a few of these signs are that old, like the Union Ave. and NY 25 signs (the last photo is right at 25). 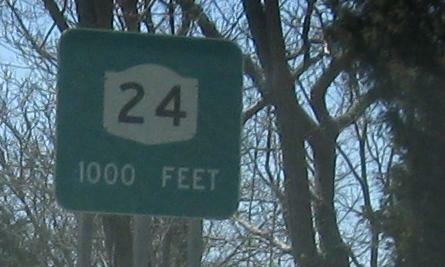 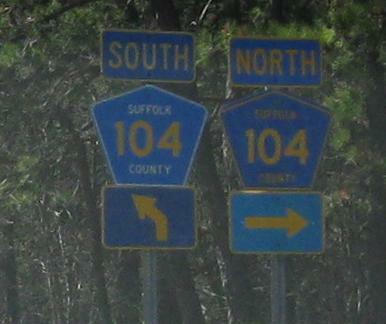 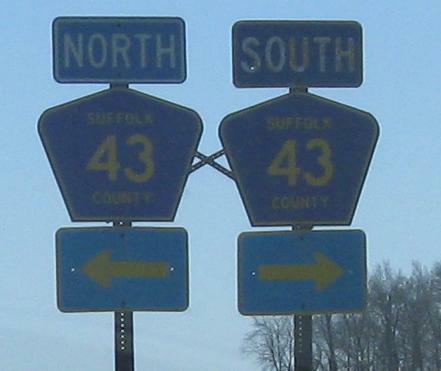 Funky font on the NY 24 shield - I have to think it's original, not to mention a county job. 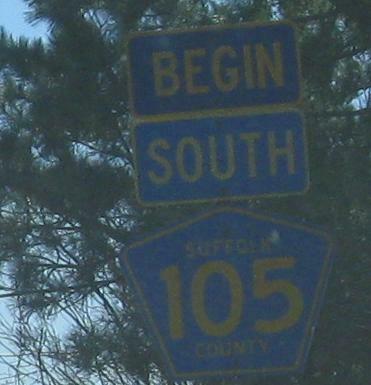 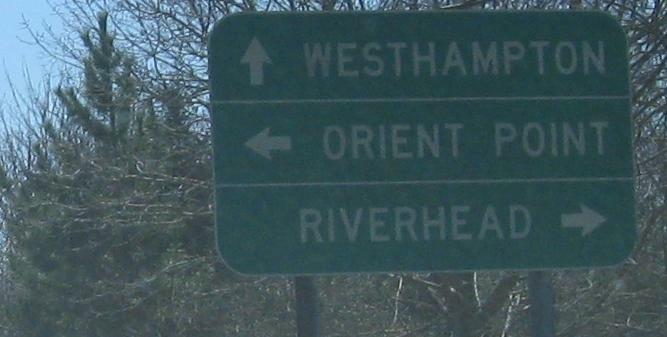 CR 105 ends here, but it was supposed to go a lot further. 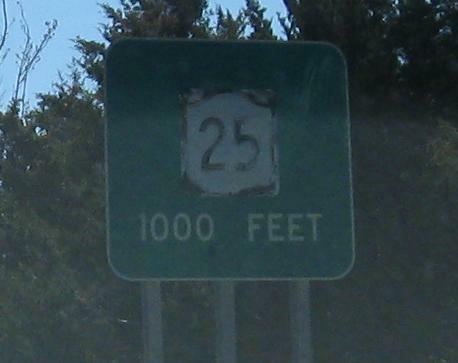 See Steve Anderson's page, linked below, for the details.